Catalogue > Cities: maps and sights of cities and villages > 7. South Holland > WARMOND. Oud Alkemade. "'t HUIS OUD ALKEMADE, van voren. 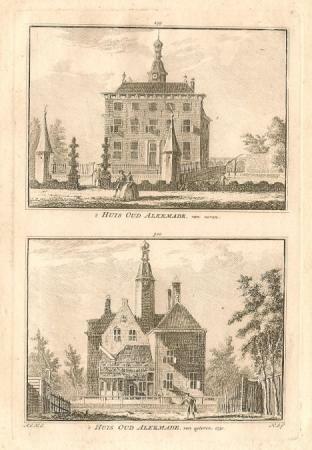 / 't HUIS OUD ALKEMADE, van agteren. 1730."